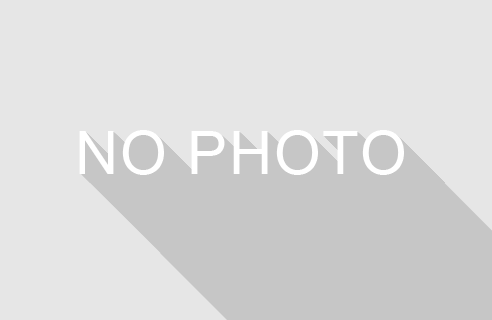 >Fellows, Fellowships, Fellowships, Project News>Webinars for potential applicants for 2018 EaP Civil Society Fellowships, 21-23 March 2018! 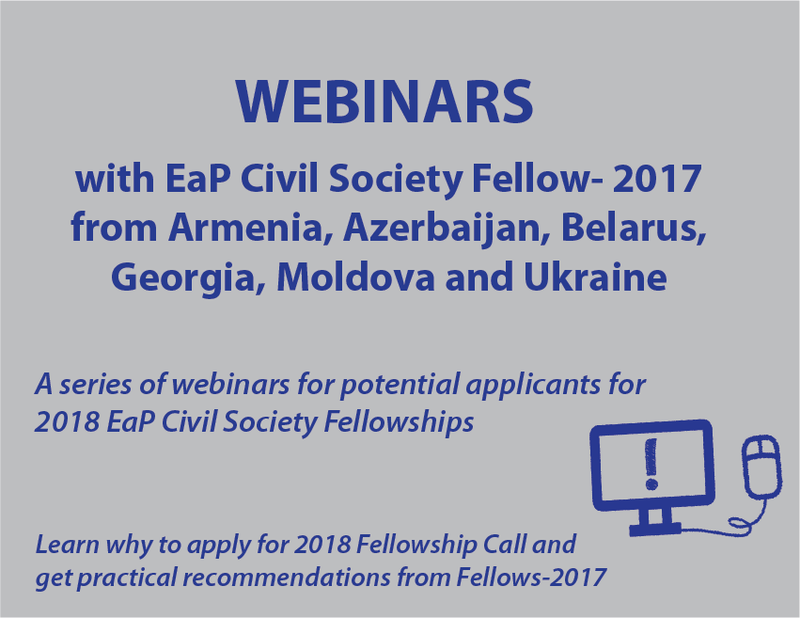 On 21-23 March 2018 the EaP Civil Society Facility will organise a series of webinars for potential applicants of the Call for Applications under 2018 EaP Civil Society Fellowships (with the DEADLINE on 9 April 2018). 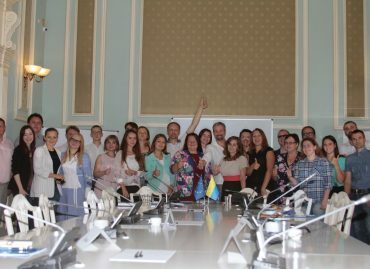 10 Civil Society Fellows-2017 will talk about their Fellowship actions, share their experience and answer questions of potential applicants of the current Call for Applications. 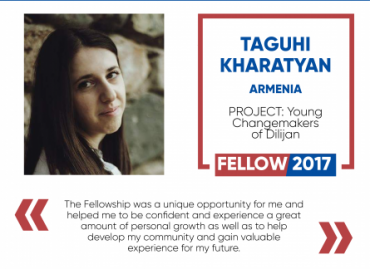 Check the schedule of the webinars below and join us on Wednesday – Friday (21-23 March 2018) to meet the Fellows-2017 from Armenia, Azerbaijan, Belarus, Georgia, Moldova and Ukraine and get their stories and recommendations! 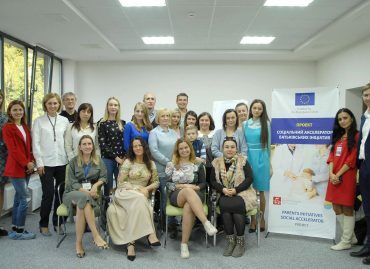 Background information: In October 2017 twenty young civic activists from six Eastern Partnership countries has been awarded Fellowships under the Eastern Partnership Civil Society Facility to pursue a programme of activities that will allow them to develop their leadership skills, and enhance their contribution to civil society development in their respective countries. 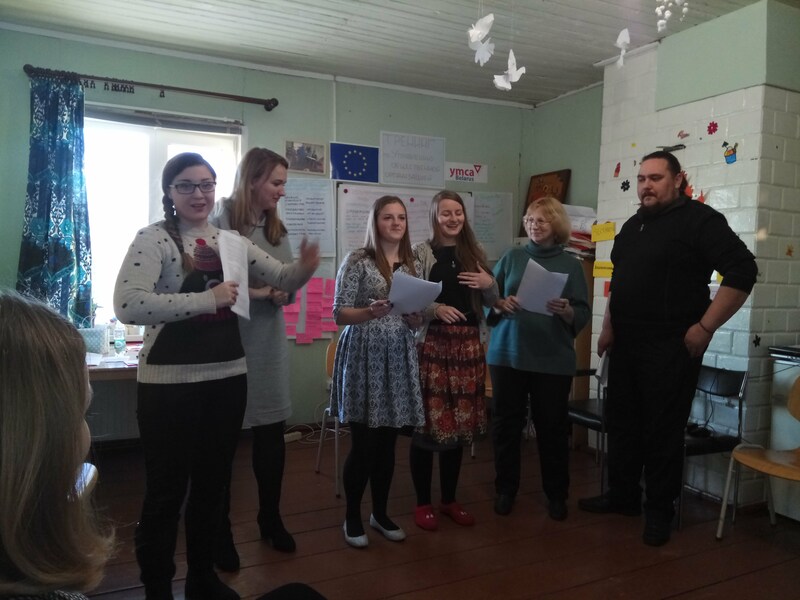 This support is an investment in the development of young current civic activists or civically minded individuals from the EaP region, who display the interest and ability of taking leading roles in the growth of their societies. 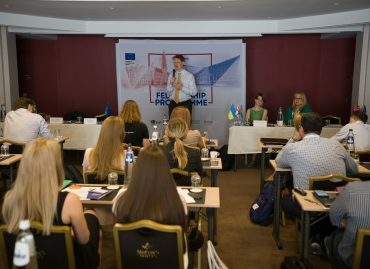 The Fellowship programme contributes to the broader aims of EU support to civil society development in this region.